Start User Testing and Stop Annoying Your Customers | Infomedia, Inc. User testing is exactly what it sounds like — having a user “test” your website and report back how easy or difficult it was to navigate. So … is it worth it? Picture this: You’ve worked long and hard on creating the look, feel, and functionality of your brand new website. You love it, your coworkers love it, your spouse probably wants you to stop talking about it at dinner. The site feels ready to go live, and you’re certain the whole world will fall in love with it too. The site goes live … but now you’re losing sales compared to your old site. What the heck is happening?! A very important aspect of creating a website is getting user experience right. If it’s confusing or frustrating to click through a site, the user will usually lose interest and close the tab. For ecommerce sites, this can be devastating. There are plenty of professional resources you can use to test your website online, but you can also try to do it yourself by rounding up a group of volunteers. You’ll want to choose at least five people, and make sure you pick people who don’t know your business very well to answer the questions below. Call in those favors! Bribe people with coffee or treats! 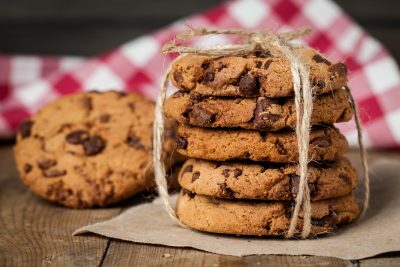 If you ask me to test your website, I’d like to get paid in cookies. Find X product and go through the checkout process. Find our latest blog post. User testing is a great way to clear away those hurdles that can keep people from using your site, and it’s never too late to get feedback. Take action today with these sample questions and take in the feedback. It will make your site better, and keep your customers happy — a win-win for everybody!